No biography of McNamara was likely (in 1984) when my first books were done and I looked for a new opportunity. “He’ll never talk about Vietnam, so there’s no point trying,” many said. So I started on a modest book based on the public record. I was interested how, as Defense Secretary 1961-68, McNamara transformed US nuclear forces and pioneered arms control. Also in how he transformed the Ford Motor Company, the Pentagon and the World Bank. I was emotionally keen to explore the Vietnam war and his impact on my generation. When Promise & Power was published finally, as an unauthorized biography, most reviews started on page one. Reviewers praised him for speaking for the first time about the Vietnam war. 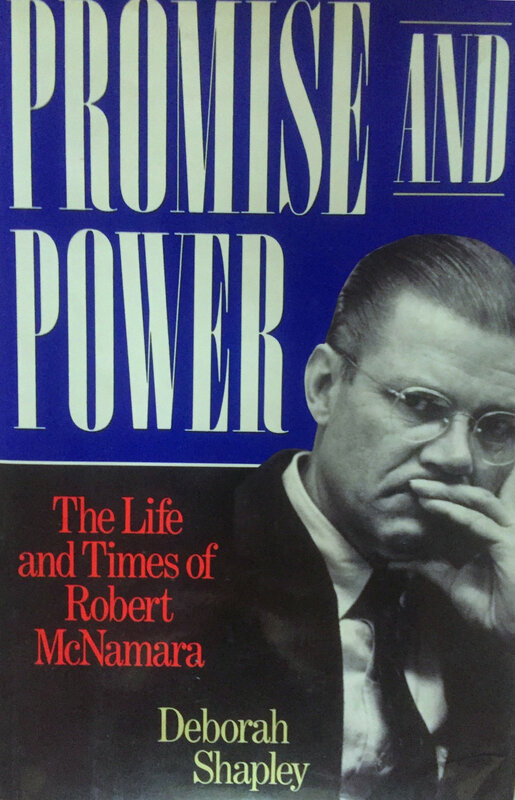 “At last Robert McNamara speaks out on Vietnam-and clarifies and explains his own role in that tragic episode,” Arthur M. Schlesinger, Jr. wrote. "A balanced and insightful portrait of this midcentury American. She is a superb reporter and character analyst... The most comprehensive and balanced appraisal of McNamara that we are likely to get for a long time." "A large chiaroscuro of ambition, hope and tragedy." "In a clear and straightforward way, she analyzes his style of leadership. She is fair as well." "What McNamara did not spend time doing [since leaving the World Bank] was writing memoirs. Deborah Shapley’s book will admirably fill that gap." You May Purchase This Book!